For people who would like to build their own Japanese Garden Shelter - Koshikake Yokaze themselves we also provide documentation in the form of a plan, partlist and description. The documentation provides drawings for a Japanese Garden Shelter - Koshikake Yokaze with a footprint of 2780x1700 mm between the posts. With a height, floor to beam, of 1900 mm. The roof is roughly 4000 x 3000 mm. With the documentation it is very easy to adjust the final dimenstions of your Japanese Garden Shelter - Koshikake Yokaze. Beware however to not oversize the length of the beams to keep the structure solid and safe! The documentation is provided as it is and in pdf format. The documentation is subject to copyright and may only be used for personal purpose. The documentation may never be published, resold or passed to a third party. The use of the provided documentation is at your own risk. Yokoso Japanese Gardens cannot be held responsible for any damage or accidents using the provided documentation. 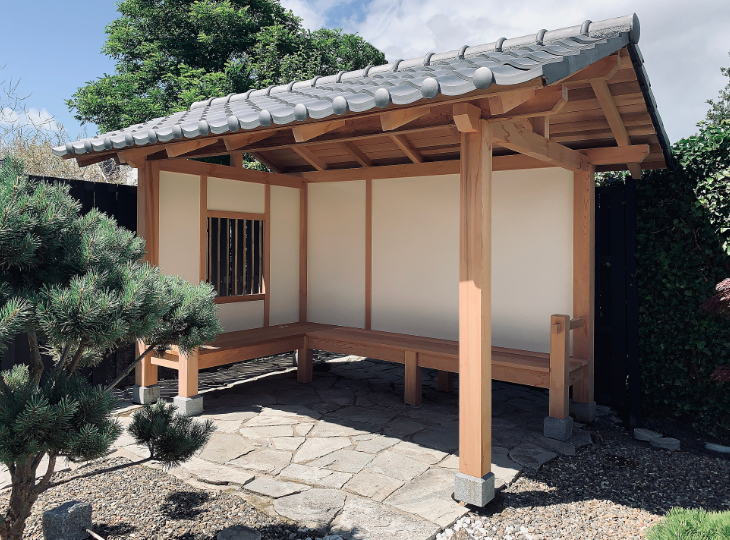 The documentation is for the basic Japanese Garden Shelter - Koshikake Yokaze and is for sale for the amount of euro 775,00 Please use the paylink below to order your copy. Once the payment is received we will email the documentation. 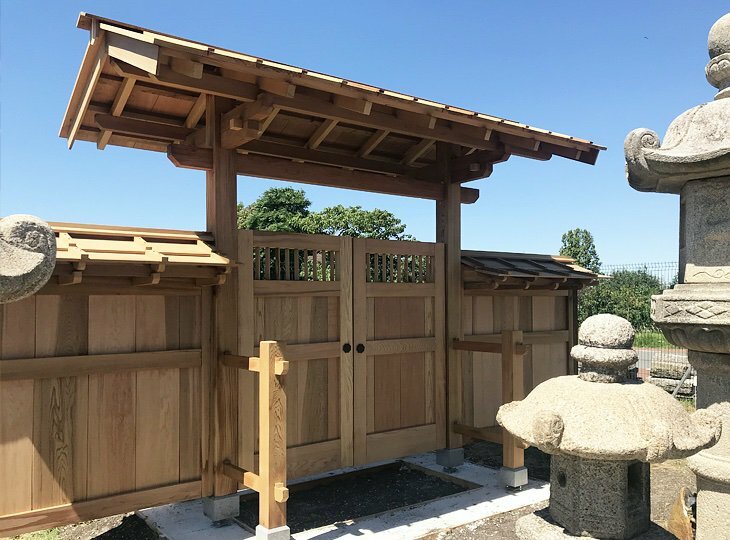 For people who would like to build their own Japanese Garden Gate - Hougei themselves we also provide documentation in the form of a plan, partlist and description. The documentation provides drawings for a Japanese Garden Gate - Hougei with a footprint of 2000x1350 mm between the posts. With a height, floor to beam, of 2460 mm. The roof is roughly 3800 x 2260 mm wide. With the documentation it is very easy to adjust the final dimenstions of your Japanese Garden Gate - Hougei. Beware however to not oversize the length of beams to keep the structure solid and safe! The documentation is for the basic Japanese Garden Gate - Hougei and is for sale for the amount of euro 775,00 Please use the paylink below to order your copy. Once the payment is received we will email the documentation.